Keiko, the killer whale star of Free Willy and Free Willy II, moved from Mexico City via cargo plane into his new home at the Oregon Coast Aquarium in January, 1996. Over the next 32 months, Keiko was rehabilitated at the aquarium, where more than 2.5 million people paid him a visit. 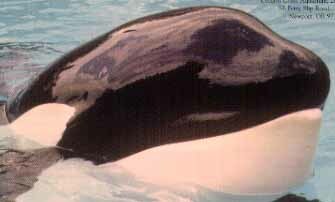 In the fall of 1998, Keiko was moved to a pen in the waters of the North Atlantic off Iceland. Once there, his handlers prepared him for the wild, teaching him to catch live fish on his own without the dependency on humans. Keiko was released from Iceland in July 2002, but he swam straight for Norway on a 870-mile trek. Keiko found Taknes Bay, a clear, calm pocket of coastal water deep enough that it doesn't freeze in winter. Keepers fed him there, but he was free to roam and did, often at night. The whale, who was 27, died December 12, 2003,after the sudden onset of pneumonia in the Taknes fjord. He was old for an orca in captivity, though wild orca live an average of 35 years.